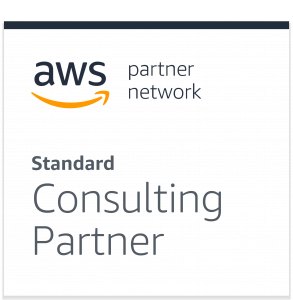 CopperHill Consulting has achieved Standard Partner status in the Amazon Web Services (AWS) Partner Network (APN). “We are excited to deepen our relationship with AWS and share these benefits with our clients,” says Paul Kukk, Chief Technology Officer at CopperHill Consulting. Achieving APN Standard Partner status gives CopperHill access to proof-of-concept funds. This gives CopperHill the opportunity to show customers how a solution could work and run on AWS without having to scope and sign a full Statement of Work. Flexibility: AWS allows CopperHill clients to select which operating system, programming language, web application platform, and other services are needed to create an environment that can be used to build new applications or migrate existing ones with ease. Cost-Effectiveness: By only having to pay for the compute power, storage, and the resources CopperHill uses, clients now have access to powerful solutions at a low cost. Scalability and high performance: Using AWS Auto Scaling and AWS Elastic Load Balancing, CopperHill’s client solutions can move up or down based on demand. Clients have easy access to compute and storage resources as needed. Security: AWS’s end-to-end approach ensures these solutions are safe. CopperHill Consulting, LLC, a technology consulting company, specializes in cloud based solutions, process optimization, enhanced customer experience, and project management. CopperHill helps their clients use technology to build better, smarter, more efficient solutions to address their business challenges and enable them for success. CopperHill Consulting’s services include Salesforce.com implementation and development, systems integration, cloud strategy and consulting, software development, business intelligence, analytics, and master data management.